... role in skill development, is the growing medium used. There are quite a few out there, and each has their own pros and cons. Of all the ways to grow cannabis, the two most popular by far are using either soil or a hydroponic system. So what are they, and what are the differences? Soil has to be one of the most forgiving systems of growing cannabis out there, and is the most natural way you can do it – just like Mother Nature intended. As you would probably expect, a soil grow involves having the roots of your cannabis plant buried in soil, supporting and feeding the plant. This soil is then supplemented by the gardener with water and extra feed. - Growing in soil is super easy, and is by far the most beginner friendly option out there. - Many cultivators claim that soil grown cannabis has a much better taste. - Soil acts as a buffer when it comes to maintaining pH, making it harder to damage your cannabis. - Cannabis grown in soil tends to be more forgiving of neglect. - It is as natural as you can get – especially if you grow organically. - Using soil tends to be the slowest method of growing cannabis. - Soil needs to be well drained. - It is harder to flush soil, and it can cause salt build up – hence the point above. - Growing cannabis in soil as opposed to other methods can result in lower yields of marijuana. 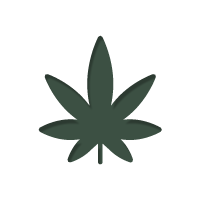 - Soil can increase the risk of disease and parasite infection for your cannabis. - It takes a lot longer for plants to show signs of a problem, and can take longer to recover. Growing cannabis with a hydroponic system involves using water as the main growing medium. This often involves the roots of your cannabis plant being suspended in a dark box, or sitting in rock wool. A water based feeding solution is then drip fed to the roots, keeping the plant sustained. This can offer a lot of advantages – especially where control is concerned – but it also comes with its own set of drawbacks. - Cannabis grows much faster in a hydro system. - Growing cannabis using a hydroponic system is much more efficient than soil, requiring less feed. - No risk of soil based disease or pest infestation. - Less likely to require pesticides. - As long as it is maintained properly, a hydroponic system can cause much less water stress to your cannabis than a soil based system, despite being water-based. - Cannabis in a hydroponic setup shows signs of, and recovers from, problems much faster. - It is easier to tailor your grow to the specific needs of a strain. Whilst this may be beyond the novice grower, it is a huge advantage to the veteran. - Growing weed using a hydroponic system is much more complicated than soil, and requires precise control. If attention slips, or the cannabis plant is neglected, it will greatly suffer. - pH control has to be very precise. - All nutrition comes from supplements, there are no natural nutrients in water. As such, it is harder to grow organically – though not impossible if you use compost tea. - Buying a hydroponic system can be expensive. - Some say weed from a hydro system doesn’t taste as good as its soil counterpart. - A hydroponic system must remain sterile. Although there is no risk from soil based diseases, water can become infected with other types of disease if not properly maintained. As you can see, there are benefits and disadvantages to growing with each method. Which to choose will depend largely on your situation. You should consider a soil grow if you are not confident in your skills, want a natural or organic grow, want the flexibility of being less attentive to your plants, or feel that soil based weed tastes better. Consider using a hydroponic system if you want absolute control, are happy to dedicate the time and effort required, are confident in your skills, want more flexibility to experiment, or want larger faster yields. Better yet, if you are really up for a bit of experimentation, why not try combining the two into an automated drip feeding soil system! It can be a great way to introduce you to some of the mechanism behind hydroponic growing without jumping in head first! Either way, there is no right or wrong answer here, you just have to choose what suits you.